So lately I haven't known what to blog about! Nothing really huge is going on, I get to spend lots of time with my family or working everyday, which is wonderful. But nothing really crazy or interesting to readers has happened. Then I realized something. It's up to ME to be happy. It's up to me to do something interesting or find the good in the days so that I do have something to say! If I just wait to say things that are very exciting or funny, I'm not being true to the name of this blog, "Grasp the Moment." 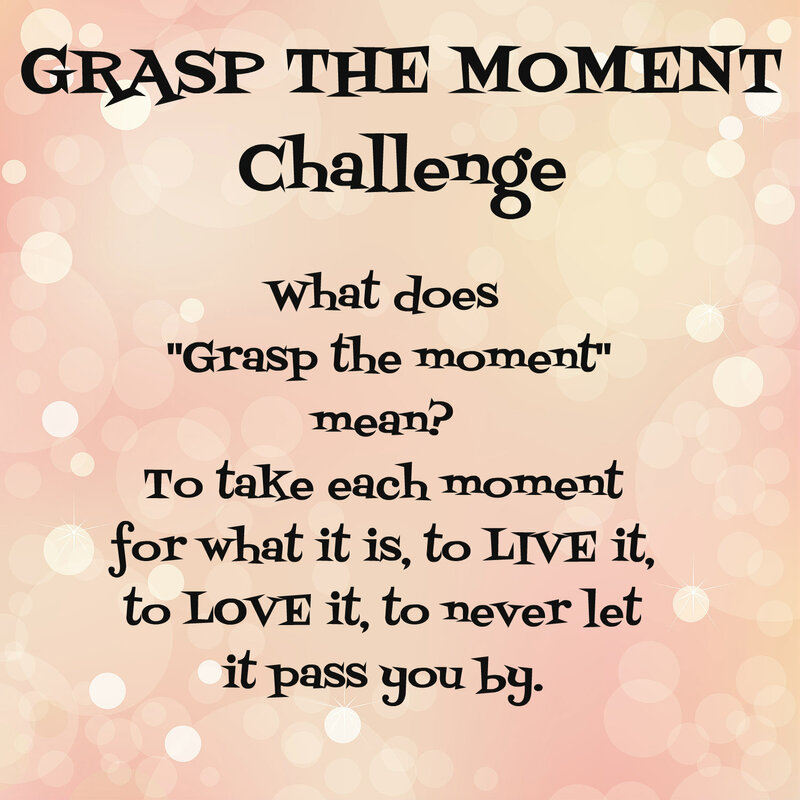 I haven't been "Grasping the Moment" lately. And that stops right now! So here's the story of how this blog came to have that name. I was creating my blog the summer before senior year. I had blogs prior to this one, but didn't post very regularly and they were sapppppy. Junior High stuff, we've all been there. I was picking a background (which I've changed a million times) and a URL (average day of a ginger? Classic) and then came time to come up with a title. I couldn't think of anything. I started thinking about what I wanted this blog to be about. My life, the things I was doing, the things I found interesting. I wanted to make every moment of my life matter. 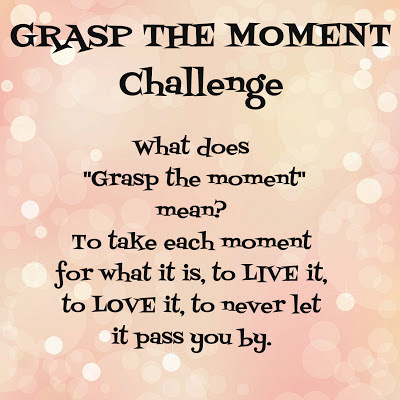 Grasp the moment. I typed that in, felt very clever, and that was that. 1. Every morning, wake up and pick one thing you want to accomplish that day. Not a daily, menial task, but maybe you want to make someone smile, or you want to have ten minutes to yourself. Pick something meaningful and DO IT. 2. Look for one good thing in a bad situation. Something you can learn, something you're glad you have now, or something you could do to help another. 3. Laugh at every single opportunity. Don't be too cool for something, don't stress out about something that isn't worth it. Just laugh instead. 4. Recognize and vocalize your appreciation. Look for things you are grateful for, thank someone if necessary, or make a mental not that you are thankful for something. 5. Every night, write down how you Grasped the Moment that day. I'm doing this challenge, and I hope you'll join me!! !